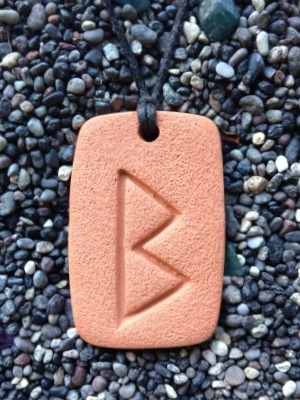 Berkana is the rune of growth, fertility, health, conception, plenty, and new beginnings. Gave this to our niece for Christmas. She liked it so much that she got the Berkana Tatoo on her wrist a few months after. She wears the necklace with oils frequently.